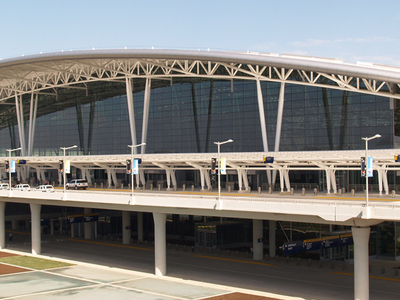 Indianapolis International Airport is a public airport located seven miles (11 km) southwest of the central business district of Indianapolis, a city in Marion County, Indiana, United States. 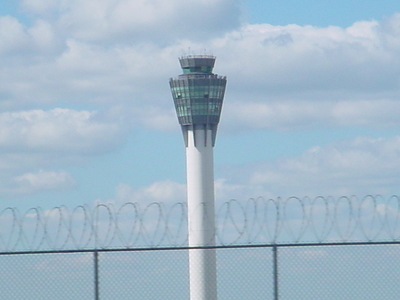 It is owned and operated by the Indianapolis Airport Authority. The airport is the largest in Indiana, occupying approximately 7,700 acres (3,116 ha) of land in Wayne and Decatur Townships of Marion County, all within the city of Indianapolis. It is located near interstate highways I-65, I-69, I-70, and I-74, all of which connect to the city's I-465 beltway. The airport's passenger terminal was the first designed and built in the United States since the terror attacks on September 11, 2001. 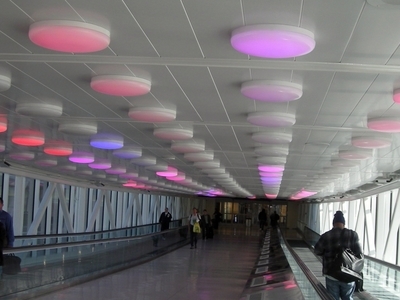 Here's the our members favorite photos of "Airports in Indianapolis". Upload your photo of Indianapolis International Airport! Laura Diaz is the only Touristlink member to visit Indianapolis International Airport. Have you been here? Click here to save it.